Does MMA Help Build Muscle? Posted May 26th, 2016 by Jeff Patterson & filed under MMA. Why Should I Learn MMA? Posted May 1st, 2015 by Jeff Patterson & filed under Martial Arts, MMA. 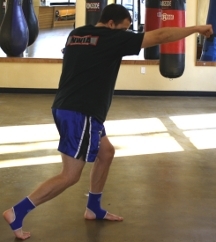 How Do I Find MMA Classes? Posted December 23rd, 2014 by Jeff Patterson & filed under MMA. Posted March 11th, 2014 by Jeff Patterson & filed under MMA.